THURSDAY, Aug. 21, 2014 (HealthDay News) -- Not only is eating better and exercising healthy for people with diabetes, it can save them hundreds of health-care dollars a year, a new study finds. The study, led by Mark Espeland, a professor of public health sciences at Wake Forest Baptist Medical Center in Winston-Salem, N.C., included more than 5,100 overweight and obese type 2 diabetes patients. Participants ranged in age from 45 to 76, and were randomly assigned to either an intensive "lifestyle change program" focused on diet and exercise, or to a standard diabetes support and education program. The patients in the lifestyle group had higher levels of physical activity and maintained a lower body weight, resulting in better diabetes control, blood pressure, sleep, physical function and fewer symptoms of depression, the team reported. There were financial savings, too. Over 10 years of follow-up, the patients in the lifestyle intervention group had 11 percent fewer hospitalizations and 15 percent shorter hospital stays. 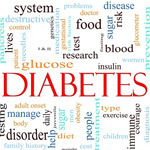 They also used fewer prescription medications than those in the diabetes support and education programs. Those benefits led to an average savings of $5,280 in health-care costs per person over 10 years, or about $528 a year, according to the study published online Aug. 21 in the journal Diabetes Care. The cost savings for people in the lifestyle intervention group were similar regardless of age, initial weight, gender or race, Espeland said. "Type 2 diabetes is a chronic disease that is affecting more and more adults, increasing their health-care needs and costs," he added in a Wake Forest news release. "This study shows that by losing weight and being physically active, individuals can reduce these costs." Two experts weren't surprised by the cost savings. "It makes perfect sense that an intensive lifestyle intervention, focusing on weight loss and physical activity, would help control diabetes and reduce the cost of medications and complications related to type 2 diabetes," said Nina Eng, chief clinical dietitian at Plainview Hospital in Plainview, NY. Dr. Gerald Bernstein is director of the diabetes management program at Mount Sinai Beth Israel in New York City. He said that once diabetes develops, costs soar. Patients must obtain medications plus blood sugar testing equipment and strips, and they often have diabetes-linked complications that involve hospitalizations and/or surgery. Therefore, "it is not surprising that reducing weight will lower the cost of medical care for an individual if they have diabetes," Bernstein said.